A ravishing setting in the heart of Edinburgh, with easy access and seating up to 500 guests for dinner in a flexible event space, ensure Prestonfield is a natural choice for high profile award ceremonies in Scotland. Privacy, seclusion and a dramatic backdrop naturally suit high-profile events, so Prestonfield regularly welcomes some of Scotland’s highest-profile events including Glenfiddich’s Spirit of Scotland Awards, the Politician of the Year Awards, the Scottish Business Achievement Awards and the Edinburgh Awards. Convenient level access and flexible set up times allow easy installation of elaborate stage sets, television, audio visual and lighting schemes, whilst Prestonfield’s in-house AV systems, elaborate lighting rigs, dance floors and flexible staging make for exceptionally cost-effective large scale events. 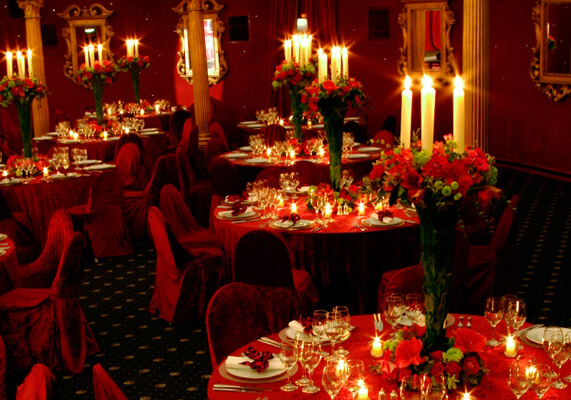 Quick transfer times and masses of free parking make Prestonfield in central Edinburgh exceptionally accessible, whilst the ravishing setting and renowned reputation ensure that guests will be extremely keen to accept your invitation!